Since the agrarian revolution that hit Europe and America during the 18th century, the use of technology to improve the effectiveness and efficiency of farming practices has increased tremendously. During the 20th and 21st century for instance, discoveries in the field of science and technology have enabled farmers to effectively use their input to maximize their yield. These advancements have been greatly assisted by the use of sophisticated machineries, planting practices, use of fertilizers, herbicides and pesticides and so on. At the present moment however, the success of large-scale farming highly relies on geographic information technology through what is know as precision farming. Precision agriculture, or precision farming, is therefore a farming concept that utilizes geographical information to determine field variability to ensure optimal use of inputs and maximize the output from a farm (Esri, 2008). 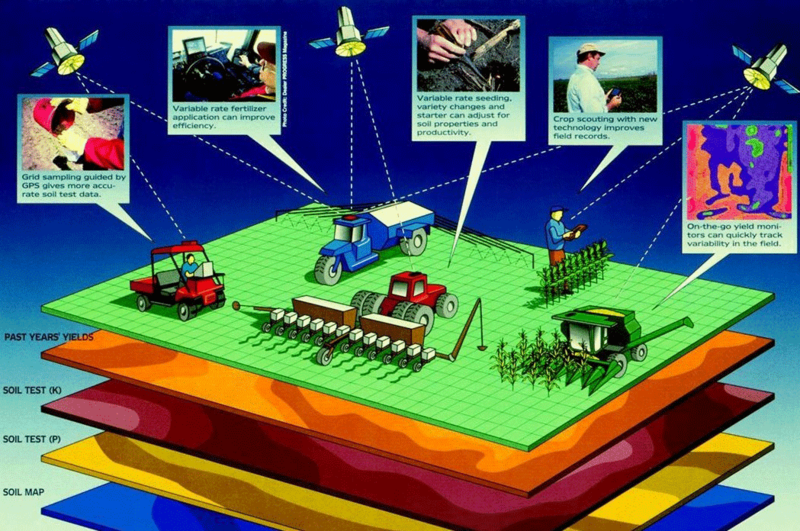 Precision agriculture gained popularity after the realization that diverse fields of land hold different properties. Large tracts of land usually have spatial variations of soils types, moisture content, nutrient availability and so on. Therefore, with the use of remote sensing, geographical information systems (GIS) and global positioning systems (GPS), farmers can more precisely determine what inputs to put exactly where and with what quantities. This information helps farmers to effectively use expensive resources such as fertilizers, pesticides and herbicides, and more efficiently use water resources. In the end, farmers who use this method not only maximize on their yields but also reduce their operating expenses, thus increasing their profits. On these grounds therefore, this article shall focus on the use of geospatial technologies in precision farming. To achieve this, the paper shall focus on how geospatial data is collected, analyzed and used in the decision making process to maximize on yields. This information can be accessed by reviewing available records. Most farms usually have records of soil survey maps, historical characteristics of crops, and records that show the cropping practices of the regions. Additionally, aerial and satellite photographs can be used in this process. For example, in the image sample below taken on January 30, 2001, three parameters were analyzed from a Daedalus sensor aboard a NASA aircraft. The individual fields are numbered in each of the images. The top image (mostly yellow) shows vegetation density. The color differences indicate crop density with dark blues and greens for lush vegetation and reds for areas with bare soil (known as “Normalized Difference Vegetation Index”, or NDVI). The middle image analyzed water distribution with green and blue areas measuring wet soil and red areas indicating dry soil. The middle image was derived from reflectance and temperature measures from the Daedalus sensor. 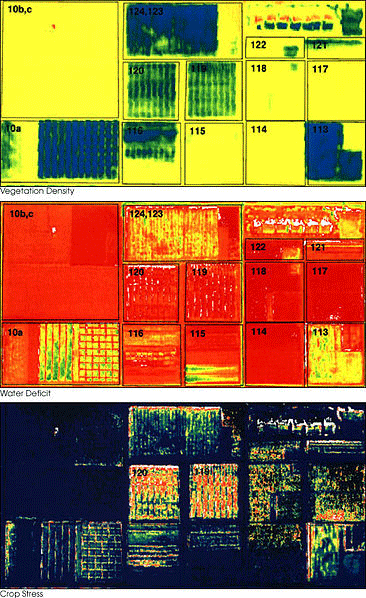 The last image on the bottom measures crop stress with red and yellow pixels indicating areas of high stress. The data collected from analyzing these different conditions allows the farmer to micromanage the application of water to best address differing soil conditions and vegetation growth. The images above were acquired by the Daedalus sensor aboard a NASA aircraft flying over the Maricopa Agricultural Center in Arizona on January 30, 2001. Additionally, one can generate up-to-date aerial and satellite photographs of the farm during different periods of the year or seasons. With this information, the farmer is able to determine the productivity of different management zones. At the same time, the growth and yield patterns of different zones within the farm can also be identified. 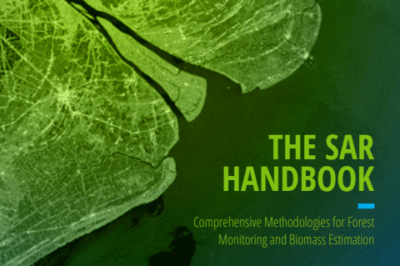 Various remote sensing techniques can be used to increase the effectiveness of this process. The most common remote sensing technique that has been applied over the years is observation with the use of the human eye. With the help of modern technology, any observation that is made using this method is usually geo-referenced into a GIS database. Much of precision agriculture relies on image-based data from remote sensing such as determining the greenness of the field using a technique to determine the productivity/yield of different managemen zones (Brisco et al, n.d.). This technique is based on the relationship that arises from the comparison of the reflection of red light and near infrared light. Data from RADARSAT has also provided farmers with reliable information regarding the parameters that determine soil conditions and crop performance. The data that is collected from remote sensing acts as a source of point data. From the trends and frequencies that have been recorded, this dataset can easily be converted into spatial data that reflects the situation of all management zones within the farm with the use various GIS techniques and tools. Kriging is an example of a method that can be used to convert point data from remote sensing into spatial data (Brisco et al, n.d.). 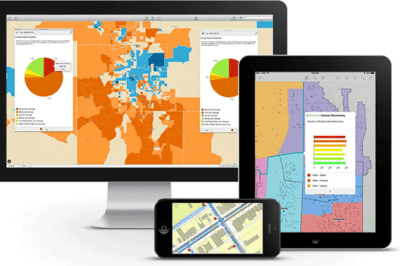 Spatial data can then be used to determine the possible problems that might be present in various management zones. This gives farmers the chance to come up with informed and effective decisions to alleviate the prevailing problems in order to boost the overall production of the farm. Once point data has been collected, it needs to be stored and analyzed for it to be useful to the farmer. It is at this point that GIS tools come into use. 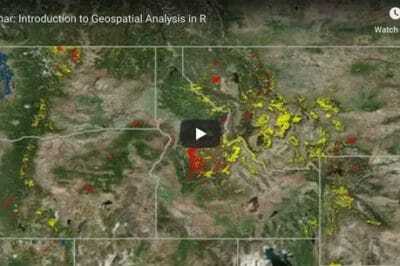 GIS software can be used to develop digital maps that transform spatial information that has been collected on the ground into digital format. At the same time, the point data that had been collected on the field can now be transformed into spatial data to reflect the entire farm. To effectively differentiate points with different values within the management zones, the collected data is normally presented in either raster or vector formats (Brisco et al, n.d.). In raster format, imaginary grids within a map are developed. Points within the map that have different values are assigned different colours. Therefore, from a glance, a user can be able to identify points that have similar characteristics and differentiate them with points that have different characteristics. This form of data representation is useful in spatial modelling to show the relationship that exists within grouped data. Vector format on the other hand uses coordinates from the x-axis and y-axis to assign a specific point within a map. Points that have similar characteristics are plotted and joined together to form a borderline. This form of data presentation is effective in computerized mapping and spatial database management. Once spatial data has been mapped, comparison of the results that are presented with the field notes is essential. This process is conducted to determine any trends and relationships that might be present on the ground. At this point, an area that has high content of nutrients in the soil or a region that is highly infested with parasites might be identified. This distribution can either be in the form of uniform or non-uniform variability. With this information, favourable management techniques can be put in place to increase the efficiency of farming to ensure optimal use of inputs and to maximize the output. Thus, the information that has been provided with the use of remote sensing and GIS can be used to make site-specific decisions with regards to the use of fertilizer, herbicides and pesticides, irrigation and so on. Most importantly, the data that has been generated needs to be stored in a systematic manner for future reference. This is essential, as it will increase the effectiveness and efficiencies of future surveys. The main reason of collecting this data is for a farmer to have a clear understanding of the needs of different points in the farm to maximize his production. As this need increases, the use of automated farm machinery is inevitable (Sohne et al, 1994). These machines are expected to conduct their work precisely according to the information that has been fed on them. With the use of GIS and GPS, automated farm machineries are now more accurate, safe, eliminate human effort required to drive them and most importantly, increase the productivity of farms. The system also enhances the management of the automated machines by enabling the user to control its speed, direction, and to monitor the surrounding conditions (Xiangjian and Gang, 2007). For automated machines to conduct their roles effectively and efficiently, they need to be fed with positioning information. This information is usually sent via a GPS receiver that contains precise time, latitudes and longitudes. The machine also received information with regards to the height above ground as well as the height above sea level. With the help of its GPS system, the machine is usually guided through an optimal path. Factors such as the length, traffic characteristics, corners and costs are usually considered while generating the path that shall be followed by the machine. Steering of the machine is determined by the angle that exists between the target points within the path. This ensures that the machines cover all the target points that have been identified from the spatial data from GIS. This therefore ensures that the machine will traverse the farm and spray, deposit or plant the exact amount or quantity of input that is required to maximize the output of a given site as per the findings in the farm. Trimble is one geospatial vendor for precision agriculture technology. 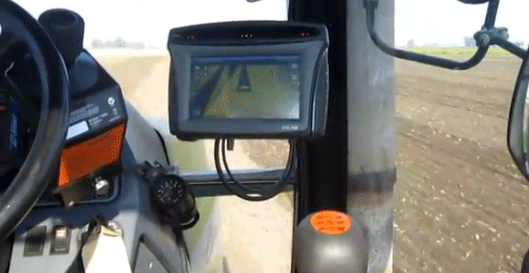 Tractor with Trimble based GPS technology on board. With the use of remote sensing, GPS and GIS, farmers can be able to understand site-specific needs of their farms. With this information, they are capable of formulating and implementing management techniques that will ensure the optimal use of inputs to maximize their output and profits. Geospatial technologies therefore provide a farmer with an information resource that he/she can use to make informed decisions that guarantee effective and efficient management of the farm to maximize its productivity. Thus, farmers should understand and implement these technologies in conjunction with their experience and expertise to get maximum benefits of their farms. Geospatial technology plays a significant role in many aspects of precision farming (click on image for a larger view). Source: GPS4Us. Sohne, W., Heinze, O. and Groten, E. (1994). Integrated INS/GPS System for High Precision Navigation Applications. Record-IEEE PLANS, Position Location and Navigation Symposium, 35(2): 310-313.